This bouquet wrap is perfect for adding some bling to your bouquet. 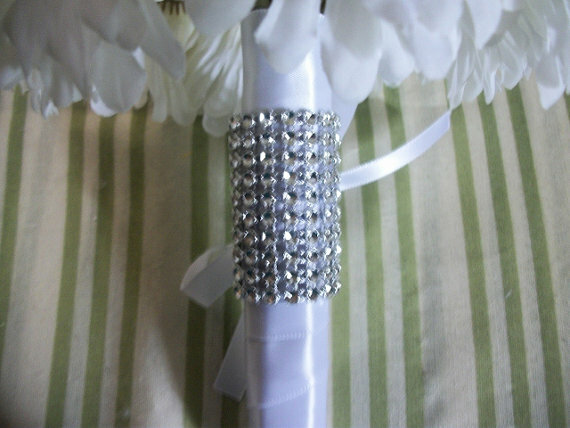 There is 10 rows of simulated rhinestones attached to a white ribbon for easy adjustment. It is 5" long (horizontally) and 2" wide (vertically). This would be perfect to add to a maid of honor's or bridesmaid bouquet.